Probiotics are essential to help heal any condition out there. Probiotics are microorganisms that line our digestive tract. There are 10 times more probiotics that cells in our bodies. The skin and digestive system hosts about 2,000.00 different species of probiotics. Consume more sour foods, like apple cider vinegar, fermented vegetables. They contain gluconic acid and acetic acid, healthy acids, that create a type of pH in your body, which supports the growth of good bacteria. You can start by adding 1 tbs of apple cider vinegar to your water 2 times a day before breakfast and lunch or breakfast and dinner and then start consuming more fermented vegetables several times a week, like kimchi, sauerkraut or drinking kvass. Consume more probiotic rich foods, like good quality goat's milk yogurt or kefir or coconut kefir. This will boost and increase the number of your probiotics. Start by consuming one serving of probiotic rich food every day. Good way of doing it is to add it to your morning smoothie. I recommend organic and grass fed sources, possibly from a local farmer you trust. Naturally boost probiotics in your system by feeding them with prebiotics. 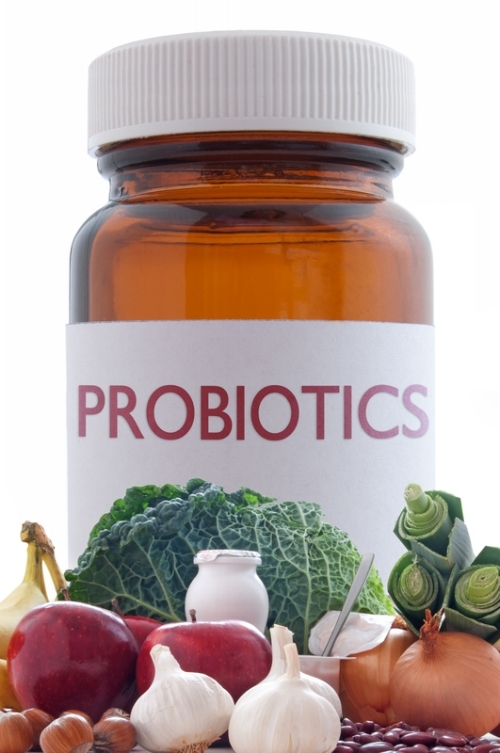 Probiotics are living organisms and they need fuel to live and feed off and good soil. The good soil is fermentable (soluble) good quality fiber. Examples are: chia seeds, flax seeds, organic fruits and vegetables. Again you can add these to your morning smoothie. Another good source is sweet and regular potatoes. Take good quality probiotic supplements. If you grow your own food or buy organic produce at the local farmer's market, then if you have a little bit of dirt on your produce, that's ok, because dirt is natural soil based probiotic, which is good for your digestive system.